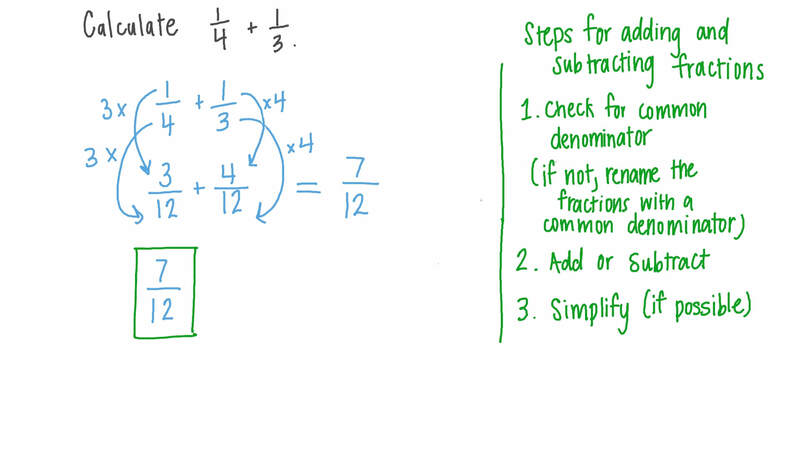 In this lesson, we will learn how to add fractions with unlike denominators using various tools to solve real-world problems. Calculate 1 4 + 1 3 . Find the result of 1 1 5 + 1 2 + 4 5 giving the answer in its simplest form. 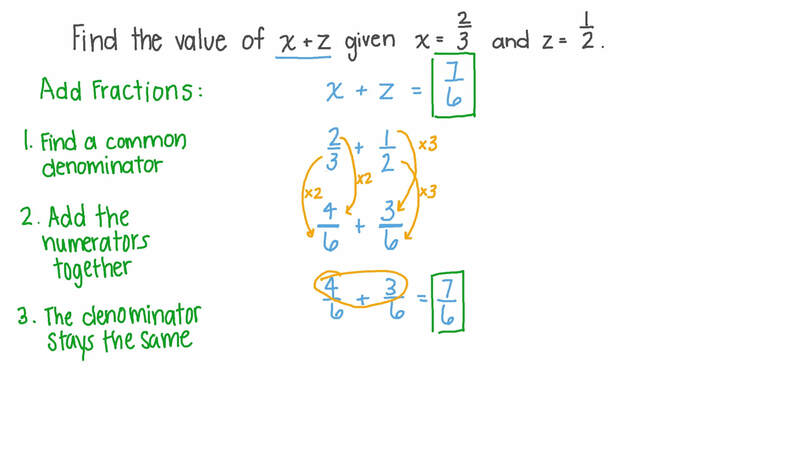 Find the value of 𝑥 + 𝑧 given 𝑥 = 2 3 and 𝑧 = 1 2 . Complete the following: 2 9 + = 2 3 . Calculate 1 6 + 5 8 + 1 2 . Give your answer as a mixed number. Use the table to find the fraction of the population that has either type O or type A blood. Evaluate 7 1 8 + 4 1 5 + 1 9 giving the answer in its simplest form. 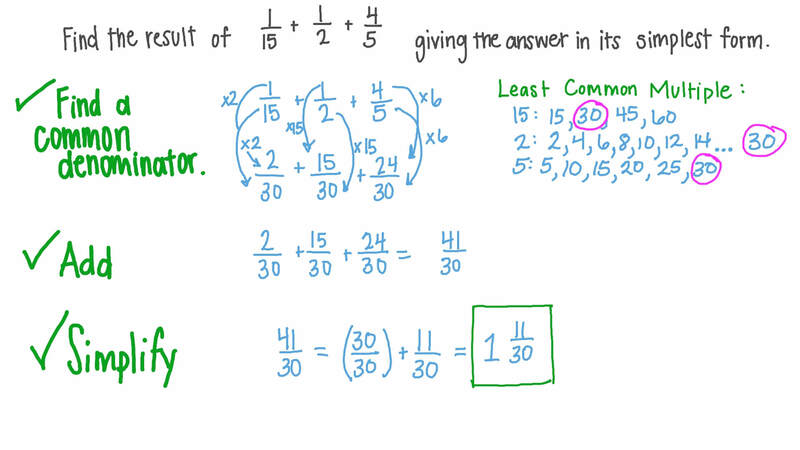 Evaluate 1 4 + 1 4 + 3 1 7 giving the answer in its simplest form. Evaluate the expression 2 5 +  − 4 9 + 4 9  − 7 1 0 .